Aflac’s Address Standardization Project was initiated to find a new address validation software system to streamline processes, continue the company’s record of being USPS compliant, retain current postage discounts, and to mitigate any potential fines due to poor address quality. GrayHair Software, as a trusted partner, developed a comprehensive customized system to serve Aflac’s needs today and tomorrow including its SelectSolutions Platform (click for more information). People know Aflac Insurance from its funny commercials featuring the Aflac Duck, but what the company does is no laughing matter. Aflac is the number one provider of guaranteed-renewable insurance in the United States. It helps people be prepared for whatever life may bring and its customers rely on the company’s benefits when they are needed most, such as after a life-interrupting medical situation occurs. Click for PDF of this article that appeared in Official Mail Guide. This means that customers rely on receiving mail from Aflac. When Aflac wanted to improve its address quality, lower mail costs and identify as many postage discounts as possible from the Postal Service, it turned to GrayHair. Aflac started a project called Address Standardization. Its main mission was to enable the company to remain USPS compliant in order to retain current postage discounts and to mitigate potential fines due to poor address quality. The company had been using an address validation software system for years but realized that the system was not giving them exactly what they needed after noticing that the USPS was increasing its emphasis on address quality. While Aflac was in compliance, it was concerned because it did not have a streamlined process. “We were not positioning ourselves well for the USPS changes that were coming,” said Mike Thomas, Vice President of Support Services who did not want the company’s mail costs to increase because of address quality. Improving address quality would enable Aflac to lower mailing costs. The Print and Mail Services group, a part of Aflac’s Support Services, handles all the transactional printing for Aflac U.S. Aflac mails 2.6 million pieces per month throughout the United States, Puerto Rico and other locations. Types of mail range from Group communications (typically businesses with 50 employees or less); Claims communications such as checks; Individual Policy communications such as letters, privacy notices and policy-related information; and communications to any of the company’s agents. 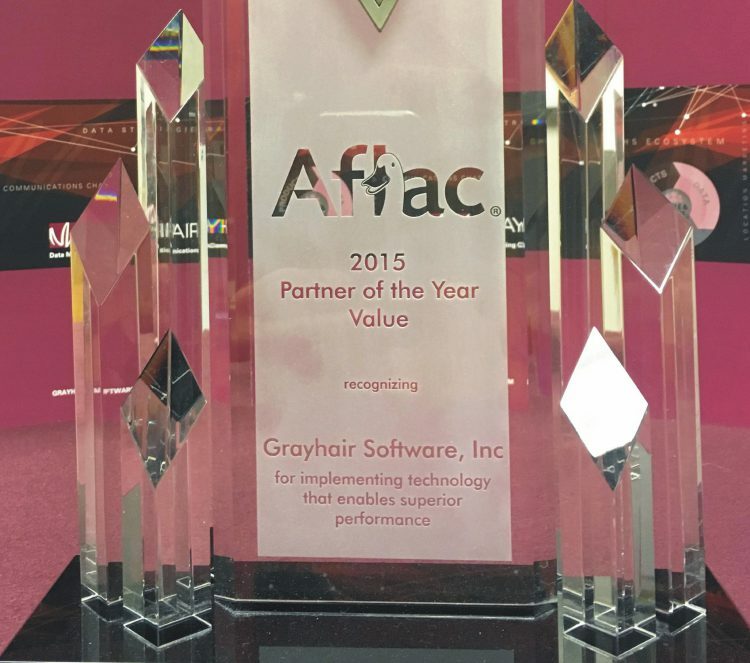 GrayHair Software, a leader in providing services that improve the management of business mail, responded to Aflac’s need. GrayHair’s approach was “very consultative” said Thomas, who said that Aflac had considered updating the address quality system it already had it place. “We didn’t see the innovation elsewhere that we saw with GrayHair,” he added. Aflac decided to implement GrayHair’s SelectSolutions platform, a cloud platform that provides a single-source solution tailored to fit Aflac’s mailing operations. SelectSolutions provides address quality services, industry-leading mail tracking, reports, and more. Today, GrayHair is already dramatically improving Aflac’s address quality, which will help the company reduce mailing costs by enabling it to protect postage discounts. Before GrayHair, Aflac had a 97.5% delivery rate. Now, it has seen a “significant” drop in the amount of returned mail, said Frank Butler, Senior Manager for Support Services. Previously, Aflac would pull addresses on a monthly basis and run them through the old address quality system. Today, the company sends all of its addresses to GrayHair every 60 days. In fact, the first time Aflac sent addresses to GrayHair, it received over 700,000 address standardization updates. Today, as a result of choosing GrayHair, the delivery rate has increased to 98.5%, said Butler. In addition, through the help of GrayHair’s patent pending business rules engine, Aflac is now able to keep known bad addresses from going into print. With GrayHair, incorrect address information is identified real-time, with the opportunity to be fixed and the piece mailed out the same day. In the past, this process would have taken up to 10 business days to be returned. The resulting drop in returned mail is being measured through the reports being generated by GrayHair’s reporting engine. GrayHair also built several custom reports that assist Aflac’s business owners with address lookup and address quality, said Seguin. GrayHair helped Aflac by customizing the system to fit Aflac’s needs. Said Jackson, “We wanted a way to get an error code if there were issues with an address when keyed in and GrayHair built an API integration that serves this function.” Aflac’s ultimate goal is for an address being entered for the first time to be a “high-quality” address. Improving address quality was Aflac’s main objective. Adam Collinson, GrayHair’s Director of Research and Development, has extensive experience with the National Change of Address system and gave Aflac a comfort level with GrayHair that they did not have with other vendors. GrayHair’s business rules engine enables mailers to verify bad addresses before going to print. “That was a big win for us,” Jackson said. GrayHair utilized its VerifyAQ™, which provides users with a detailed description of potential issues with a bad address. This information helps Aflac determine what steps to take next. For example, if VerifyAQ indicates that a business address has an incorrect suite number, the user can easily obtain the suite number and update the address. An additional benefit is that VerifyAQ helps Aflac lower mail cost. Before, other similar services charged Aflac a per query fee, whereas GrayHair’s pricing is for unlimited use. 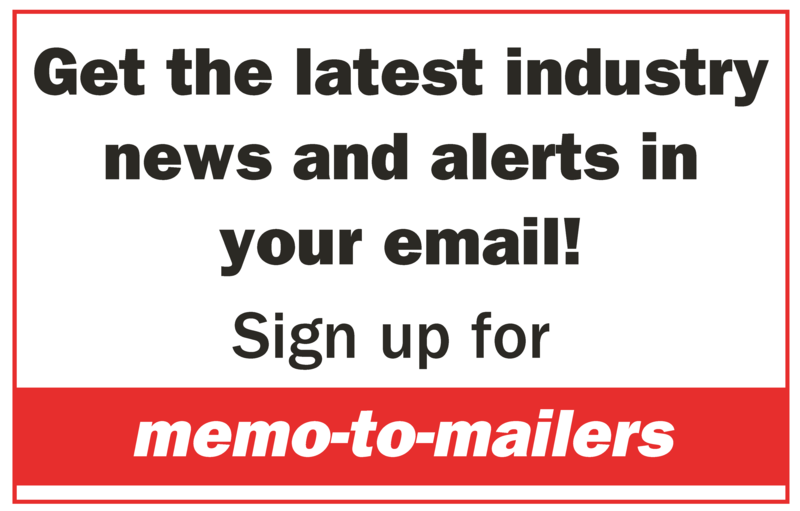 For mail tracking, Aflac is using GrayHair’s MailTrak Select (MTSelect), which can generate and encode the Intelligent Mail barcode (IMb) onto mailpieces. These IMbs comply with the mandated 45-day uniqueness rule. Assignment of the IMb on mailpieces is one of the key requirements needed to qualify for USPS Full Service automation pricing. Another benefit Aflac received from choosing GrayHair is insight into USPS reports such as the USPS Mailer Scorecard. “I like the Scorecard and knowing that the mail we send out every day is reaching our customers,” said Seguin.